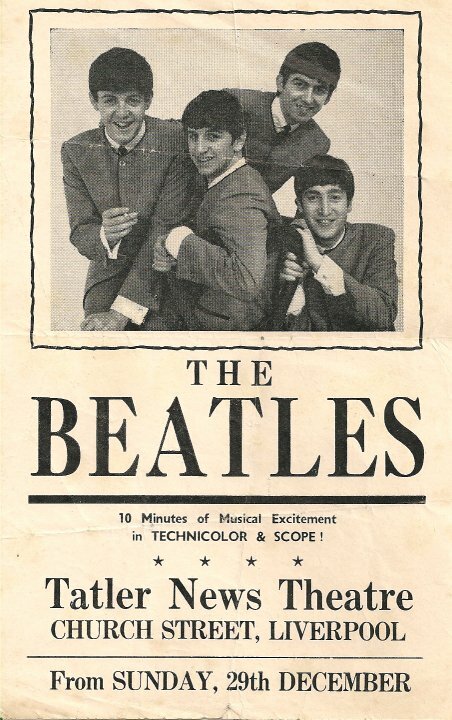 Liverpool Beatles Auction: Unusual Cinema Handbill. 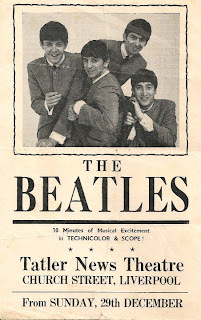 This is a handbill for a showing of Beatles Come To Town at the Tatler Cinema in Liverpool. The cinema was located on Church Street in the city centre. It showed cartoons (and obviously pop music items) for children during the day and rather different movies later in the day for "discerning adults." The estimate on this item is £60-£70.